What can it do for me during a home inspection? Here are a few areas that thermography can be helpful! My camera's have the ability to take a digital picture and fuse them together with a thermogram to help you document and locate any potential concerns. 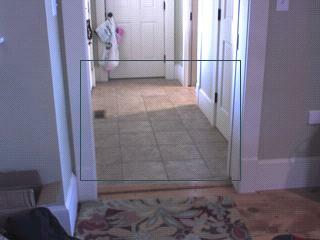 This way you can take these pictures and show a contractor the exact location and area that may be in question. With the introduction of new less expensive camera's, there is an increasing number of people using infrared technology. This is good for everyone because it helps promote the technology. Unfortunately, some people are making a business decision to not get any formal training. You should understand that there are differences in the levels of training. Some home inspection associations and other web based companies offer a course over the Internet for you to become "Certified". Like everything else, some are good and some are not. When a large company like a Dupont (for example) looks for a Thermographer, the qualifications they look for are experience and if they are in compliance with ASNT ( American Society for Nondestructive Testing).This is as close to a national standard as there is in the industry. I am a Level II Thermographer with over 7 years inspection experience who is in compliance with ASNT. This means I have experience, formal class room training, and have passed the required testing. In addition to being a Level II Thermographer, I have been "certified" by ITC (Infrared Training Center) as a Building Science Thermographer. Again, to attain these qualifications I had to go to onsite formal training and pass all required testing. I have experience in buildings from science centers, state legislative buildings, commercial buildings, retail buildings, institutional, industrial and residential homes. Please feel free to contact me with any questions or concerns in regard to a thermographic inspection. There are many very good thermographers out there, just make sure you ask about there experience and training. It can, and does make a big difference in the quality of the inspection you will receive. I start with an exterior inspection of the building. If possible I like to schedule inspections first thing in the morning. The reason is, there is no thermal loading by the sun that can mask or hide anomalies. If morning is not possible then evening is the next best time. After the sun has gone down and the exterior has had time to give up any thermal loading. This doesn't mean you can't perform an inspection at other times of the day. A good thermographer always has to take in consideration things like thermal loading, Delta T and wind among other things. Conditions are important when performing a building inspection. 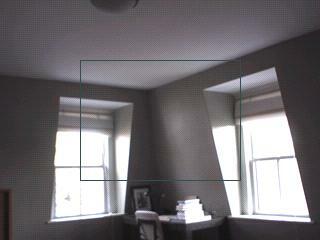 Ideally you like to have a minimum 18 degrees Delta T (temperature difference) between inside and outside. The use of the Blower door makes it possible to work with lower Delta T's. In the summer for example, if the home has AC this can be achieved easily. Obviously in the northeast, winter and fall is an ideal time as well. Once the exterior of the building is shot, I will set up the blower door if needed. Usually this is installed in the front door, because this is in the middle of the home or building. Before turning the blower door on, I take shots of the interior to help identify any anomalies. Then as the blower door is running and putting the building under a negative pressure, I walk around again and shoot the walls and ceilings. 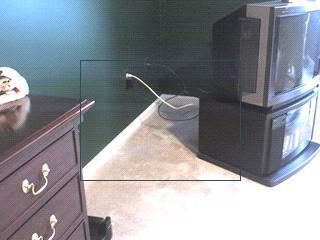 For best results it is recommended to expose as much of the wall space as possible. 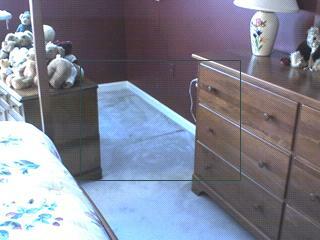 If furniture and pictures are covering a wall, that will limit the amount of surface area that can be inspected. After gathering all the information and pictures. I will take this data back to the office and put a detailed report together. The report will contain digital as well as thermal pictures, with details listed about any anomalies. I provide general energy improvement advice and specific advice in regards to your buildings performance. I will give you recommendations for energy conservation improvements, and provide you with a road map to improving your home or business. Need a heat loss inspection or energy audit? Are you having moisture problems in your home? 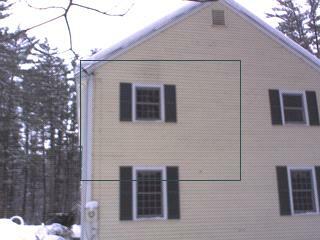 We perform Infrared or Thermal Imaging Inspections all over the New England area. MA, ME, VT, NH, RI, CT, even parts of CANADA. If you need a residential or commercial inspection give me a call. 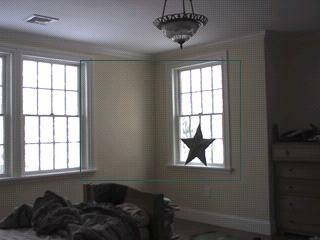 To see more samples of thermal images click here! Information on Ice Dams click here!